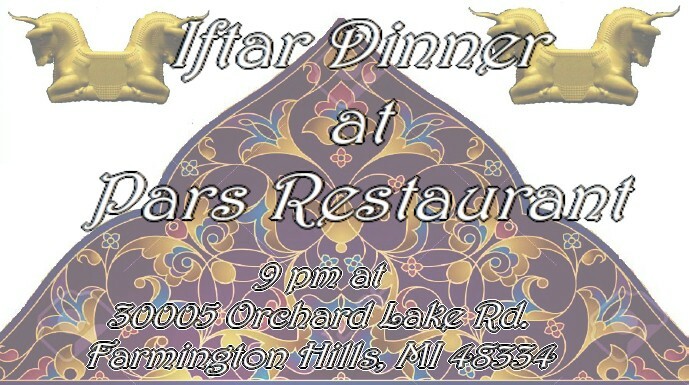 Join us at Pars Restaurant for Iftar Dinner on June 8th. Iftar time on June 8th is 9:07 pm. 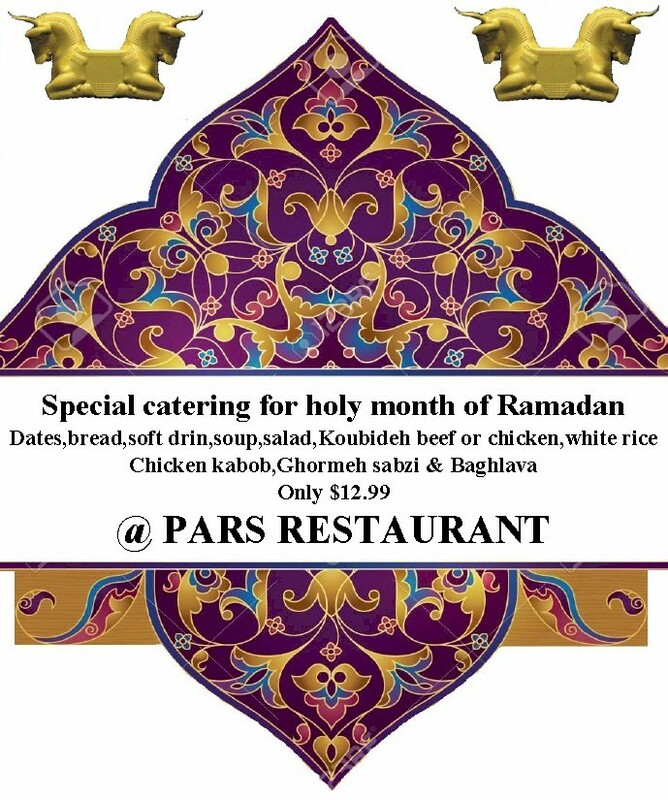 Pars restaurant Iftar Menu is $12.99. The menu includes dates, bread, soft drink, soup, salad, koubideh beef or chicken, white rice, chicken kebob, ghormeh sabzi, and baklava. 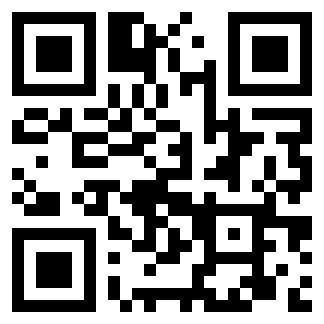 Address is 30005 Orchard Lake Rd, Farmington Hills, MI 48334. If you are interested in joining us for Iftar, please RSVP at the facebook event page or by emailing us at contact@tacam.org or by as soon as possible so that we can reserve your seat. This entry was posted on Wednesday, May 30, 2018, at 2:11pm	and is filed under Main Events. You can follow any responses to this entry through the RSS 2.0 feed. You can leave a response, or trackback from your own site.